Click for an animated overview. 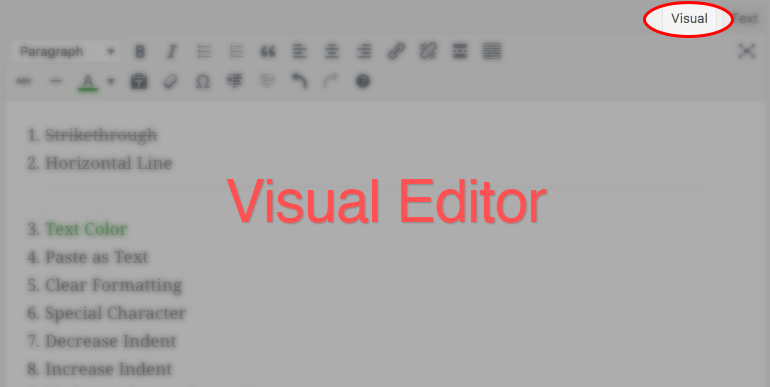 This is the default editing mode for WordPress, but if it does not appear to be enabled, you can select the Visual tab in the top right corner of the editor area, as depicted below. 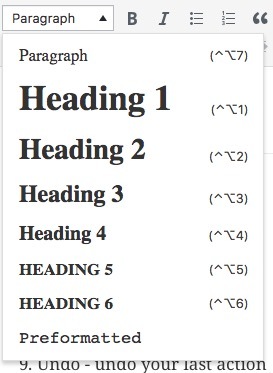 Note that your WordPress Theme may come with additional styles that you can apply to your text. If you copy and paste text from somewhere else, you may discover that it does not always appear exactly as you would expect. This is particularly a problem if you cut and paste from Microsoft Word. 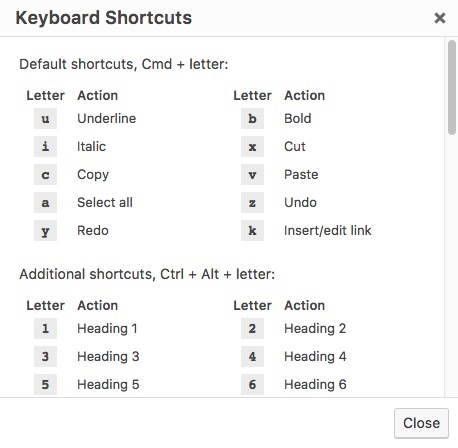 If you use the Paste as text button then a special cleanup process will run to remove any special formatting and HTML tags that may otherwise change your text. 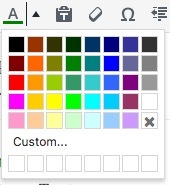 If you are pasting from Microsoft Word you can use the Paste from MS Word button to remove any formatting.